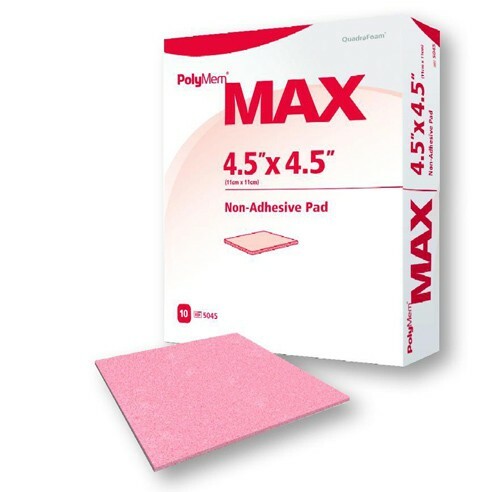 PolyMax Wound Care Dressing BUY Foam Dressing, Absorbent Dressing, 5045, PolyMax. 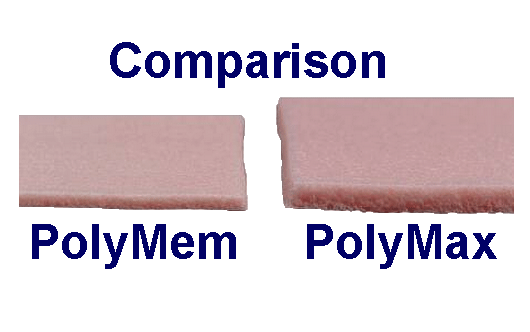 PolyMax Dressings is a higher profile and super thick version of PolyMem. Manufactured by Ferris MFG, PolyMax contains all the same wound healing agents as PolyMem yet is 60% more absorbent. 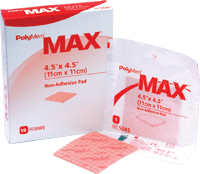 PolyMax provides all the qualities necessary for optimal healing of moderately to heavily exudating wounds. PolyMax extends the time between dressing changes, reduces the number of dressing changes, and saves time and money. The hydrophilic membrane contains a cleanser, a moisturizer and a superabsorbent starch copolymer . The membrane wicks away up to ten times its weight in exudate . Contains a mild wound cleansing agent activated by moisture and gradually released into the wound bed . Contains glycerin to keep the dressing from adhering to the wound bed. Also reduces odor, conserves living fat cells, reduces hypergranulation, soothes traumatized tissues and supports autolytic debridement. PolyMax Dressing Product Number: 5045. Size Options: 4.5" Square or 8" Square.